Samsung are using the occasion of CES 2015 to broaden their portfolio of personal computing components, as is the tradition at this time of year. We've mentioned already that they'll be among the first to bring FreeSync monitors to the market later this year, but it looks like their storage division are also getting in on the act with a new high-end portable USB drive. Dubbed the Samsung Portable SSD T1, this sleek USB SSD is targeted at professionals and content creators who need copious amounts of fast mobile storage at their fingertips. Typically off the shelf external SSD solutions have been limited in capacity, speed or both; the Portable SSD T1 aims to change that. First off, the drives are spacious. At up to 1TB it can give even some external mechanical drive solutions a run for their money, but it remains as compact as an SSD can be. Measuring just 7.2 x 5.3 x 0.92cm tucking it away don't be an issue, and given that the T1 is USB bus powered Samsung have ensured that mobility remains king. Secondly, speed. The Portable SSD T1 is a USB 3.0 device supporting transfer speeds which, at up to 450MB/s depending on file size, rival that of an internal SATA III SSD. Furthermore it boasts random read/write speeds of up to 8,000 inputs/outputs per second (IOPS) and 21,000 IOPS respectively; in internal testing performance appears to be excellent. Coupled to that is support for the USB Attached SCSI Protocol (UASP), greatly improving smaller file read/write performance compared to older BOT USB drives. Finally, we come to security. 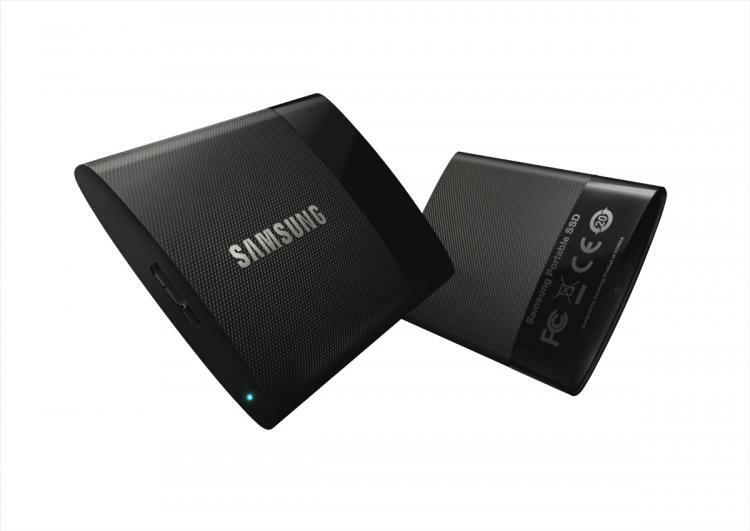 The Portable SSD T1 includes AES 256-bit hardware encryption, keeping your data safe from prying eyes. Additionally the drive is backed by a three year limited warranty, even though the drive itself needs no moving parts thanks to solid state technology. Transfer Speed**:- Up to 450MB/sec. 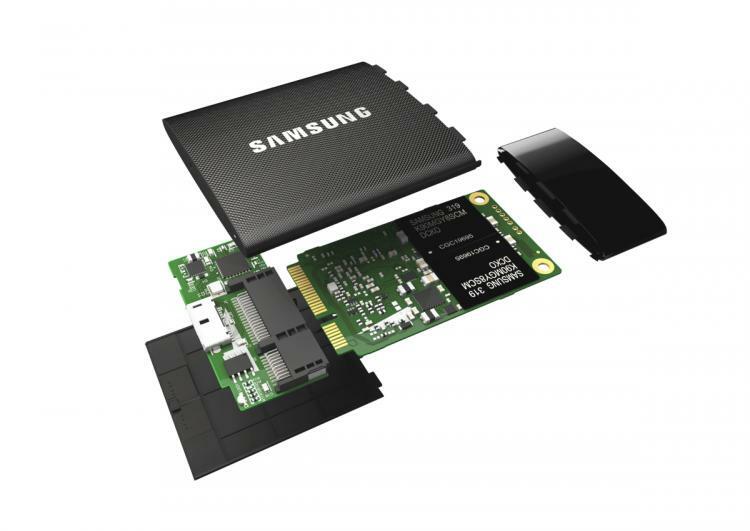 The Samsung SSD T1 will be available in the coming weeks with 250GB, 500GB and 1TB capacities, priced from £154.79. Utilising the exFAT storage system, it's compatible with both Windows and Mac PCs.